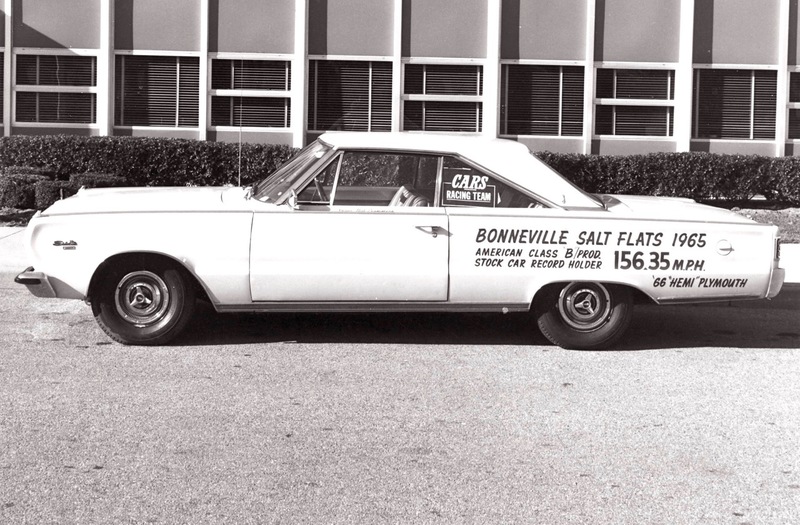 ’66 PLYMOUTH STREET HEMI: BONNEVILLE TO SUBURBIA! 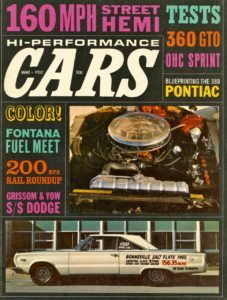 After setting the B/Production Flying Mile record of 156.35 mph at the Salt Flats, I daily-drove and drag raced the 426 Street Hemi in around New York City. 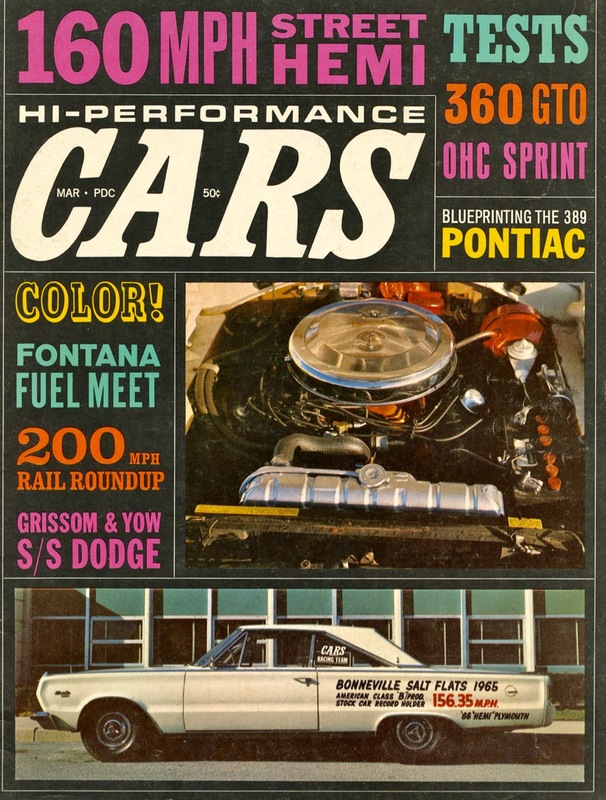 Bob Summers’, left, pre-production ’66 Plymouth 426 Street Hemi registered a top speed of 160.82 mph and set a USAC-FIA two-way Flying Mile record of 156.35 mph. It also set the two-way Flying Kilometer record of 155.30 mph. The B/Production records had been “owned” for years by factory Pontiacs prepared and driven by Mickey Thompson. I had the opportunity to drive it after almost all salt was washed away from the undercarriage. 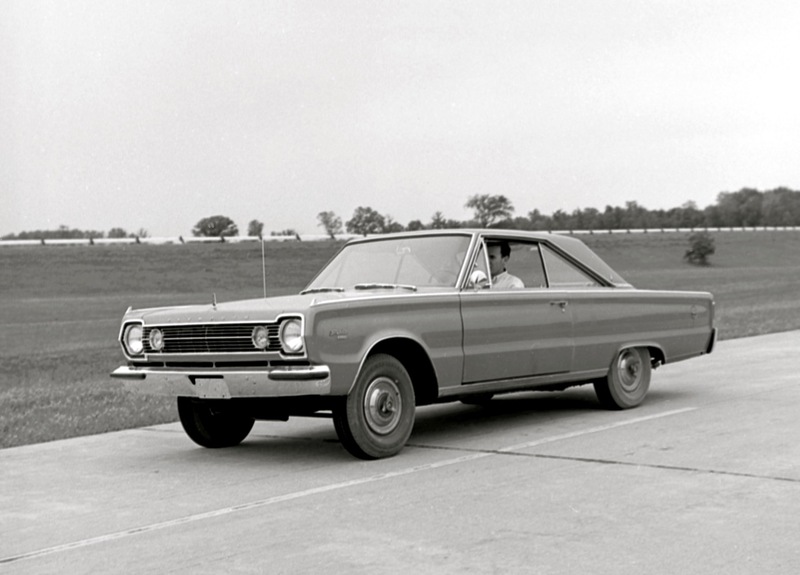 A few months earlier I had driven a Citron Gold 426 Street Hemi Satellite hardtop at the 1966 Press Preview, below. It was equipped with TorqueFlite and 3.23 gears. I’m pretty sure it also had power steering. The white record-setting Satellite I picked up in November 1965 was the very same Citron Gold Satellite I had driven in June. Chipped paint revealed its original color and the side view mirror that was removed for Bonneville had been reinstalled. The power-assisted steering was replaced with quick-ratio manual steering. Installing and removing the multi-point roll bar left scars on the gold vinyl seats. Because of its ultra-stiff ride and balky clutch that wouldn’t allow aggressive shifting, I brought the Street Hemi to Pacers Automotive, Oceanside, NY to have it checked out by Charlie Dodge, left, and George Snizek. Once up on a lift we knew for sure this was the actual record-holder. There were still traces of salt deposits and the A-833 four-speed was obviously installed post-production. Telltale saw marks on the floorboard and a cast-steel bellhousing revealed extensive modifications. The Satellite’s front suspension had been lowered slightly and the sway bar was thicker than the production .94-inch bar. 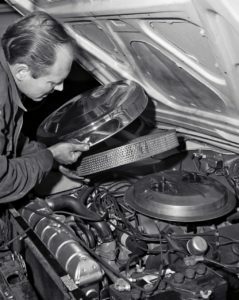 An eight-inch-wide steel “hat” protected the deep oil pan, much like a skid-plate on a rally car. There were numerous suspension/drivetrain modifications, including welded-in steel torque boxes used to anchor the roll bar. The 2.93-to-1 Bonneville gears in the 9 ¾-inch Dana 60 Sure-Grip rear had been swapped with 3.54s. After one week of daily commuting in rush hour traffic from suburban East Rockaway to Manhattan, I had enough of the Satellite’s biceps-building steering and 6 to 7 mpg consumption of Sunoco 260. Our Satellite’s “billboard” lettering proved to be a magnet for cops and restricted my racing to Westhampton drag strip. With 7.75×14-inch Goodyear Police tires, we started off running in the mid-14s at speeds around 105 mph. By the end of the day, our best time was 108 mph in 13.95 seconds. 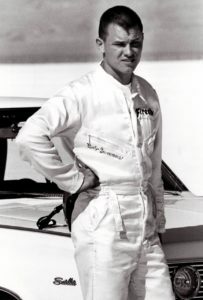 Even with its steering and braking shortcomings and unquenchable thirst for Sunoco 260, it was really cool driving the Street Hemi Satellite before and after Bob Summers drove it into the USAC-FIA record books!